Food truck culture has gone beyond a handy, tasty lunchtime option to become a popular activity for the food-focused. 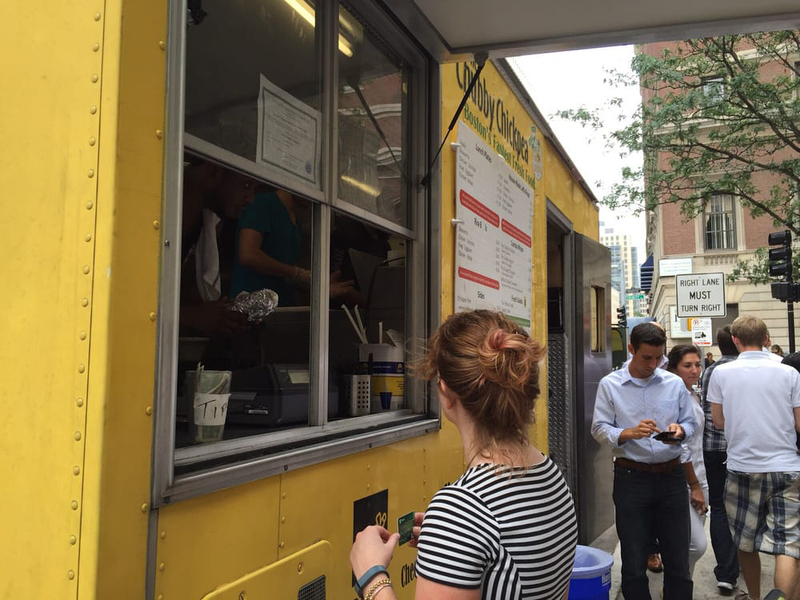 Some local food trucks have become so successful they’ve opened full on brick and mortar cafes. (The finest example is Clover, which tapped into a progressive, healthy food movement; its food trucks are long gone, but its cafes thrive.) 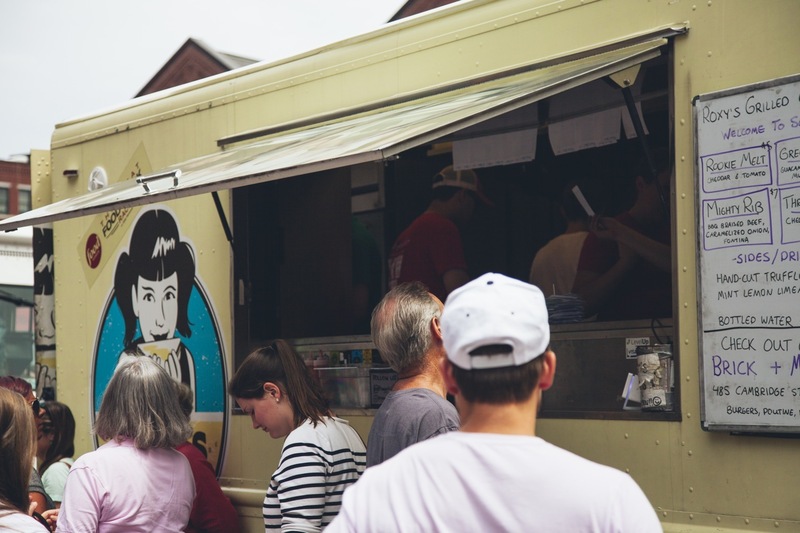 Whether it's Vietnamese street food, Middle Eastern mezze, or good old American sandwiches, there are food trucks of varying ilk set up across the city, often near ideal picnic locations like Copley Square, the Rose Kennedy Greenway, and the Boston Common. Of course, it’s worth being choosy, and the city does a good job in keeping standards and sanitation up to scratch. 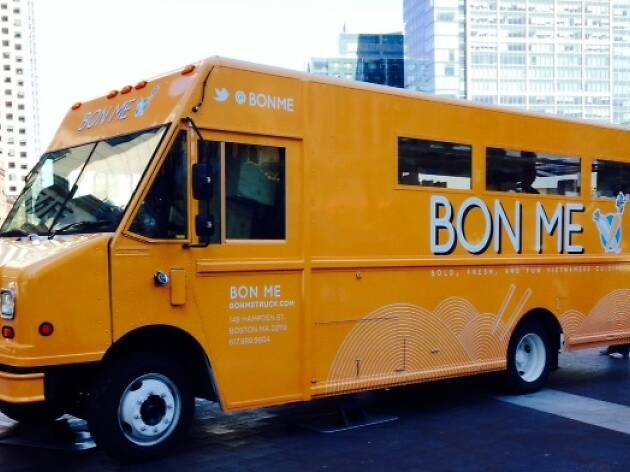 Consult the official City of Boston food truck page for who’s parked where. 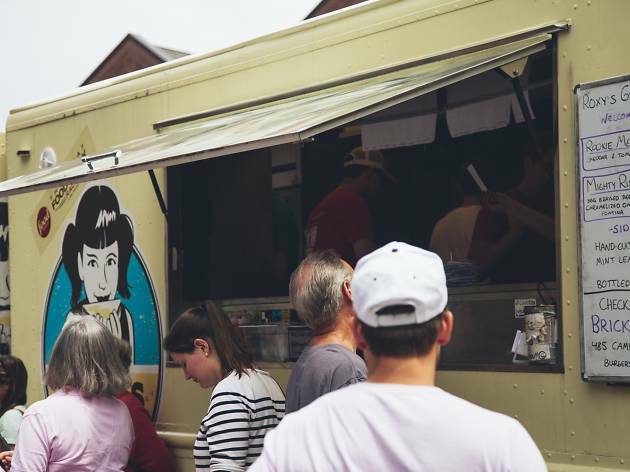 And, of course, check a food truck’s website or social media accounts for schedule changes. If no trucks are around and you're looking for something inexpensive and tasty, you can always seek out the best pizza in Boston or the best burgers in Boston. 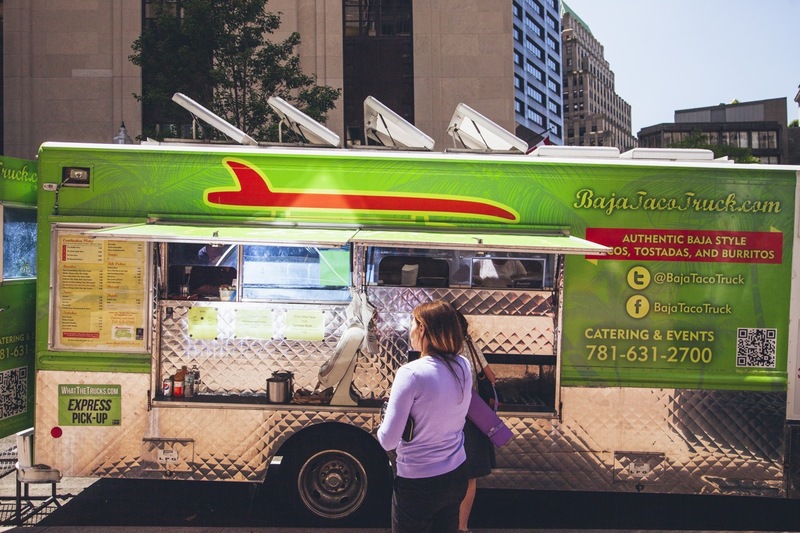 While it might seem novel to see a taco truck set up shop—or a dream come true, depending on how much you adore tacos—these handy go-to snacks are the definition of street food, so it’s a perfect venue. 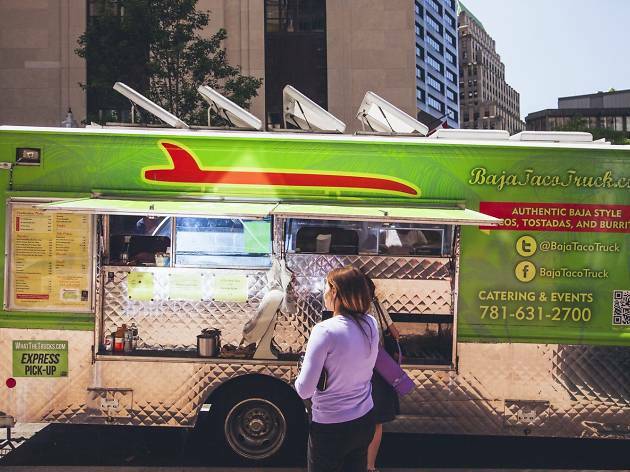 Plus, there are more than tacos served from Baja’s signature, jolly lime-green truck: popular items include cheesy tostados, generously stuffed burritos, and fresh guacamole and salsa. But, undoubtedly, the fish tacos are the truck’s biggest hit, and the friendly staff are OK if you order up a vegan guacamole taco or burrito, too. Headed by Chef Avi Shemtov, The Chubby Chickpea offers a catering service, but the public face are the yellow trucks with the anthropomorphized smiley chickpeas painted on the side. At lunchtime, the menu features wraps using Israeli-Palestinian style laffa bread, which is like a pita, but doughier. 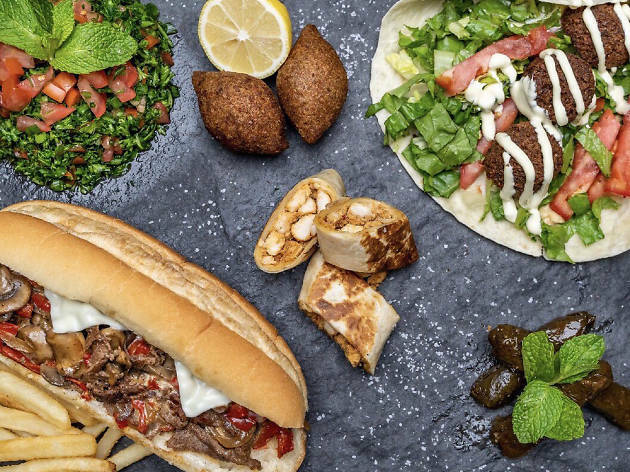 Each is filled with a choice of falafel, chicken shawarma, fried eggplant, or chicken schnitzel. There are mezze platters also featuring one of those main ingredients, but served with hummus, couscous, Israeli pickles, tahini sauce, and a choice of either garden salad, chickpea salad, or rice. Stuffed Israeli pita pockets and dinner plates are served outside of lunchtime. And don’t forget to order the amazing chickpea polenta fries. 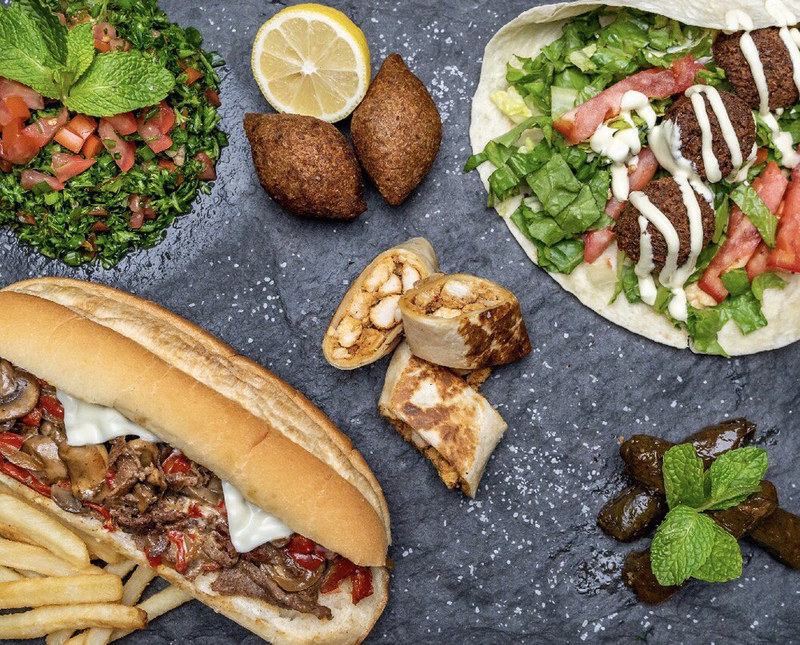 For a bite before a night’s revelry, or for late-late night sustenance, Sufra’s regular spot in the Fenway (1250 Boylston St.; daily 5pm-2am) provides a convenient option. 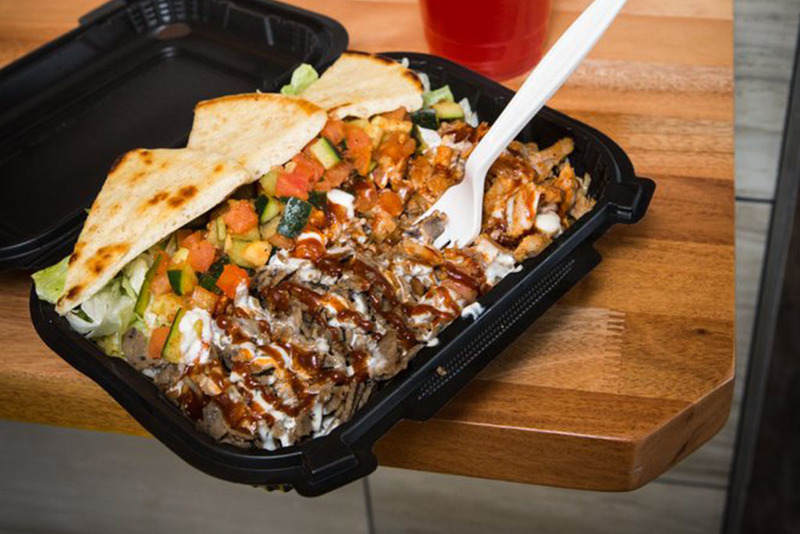 But outside of its permanent spot there, Sufra is also a weekly Middle East-meets-Mediterranean staple outside the Boston Public Library on Fridays, and near the BU campus on Tuesdays. Tasty wraps are filled with steak, chicken or falafel; pair with a side of tabouli or fattoush, or both. This MIT alumni-founded Southeast Asian food truck has a fun, build-your-own-meal menu (packed with locally-sourced ingredients). Choose a base of rice, noodles, or salad and layer it with Thai curry, Korean barbecue, or various grilled meats or tofu. Finish with a side of gyoza dumplings or crispy fried rolls. There are lots of options, even a bahn mi-style sandwich. Vegans and vegetarians are well catered for. Watch out for daily specials, too. 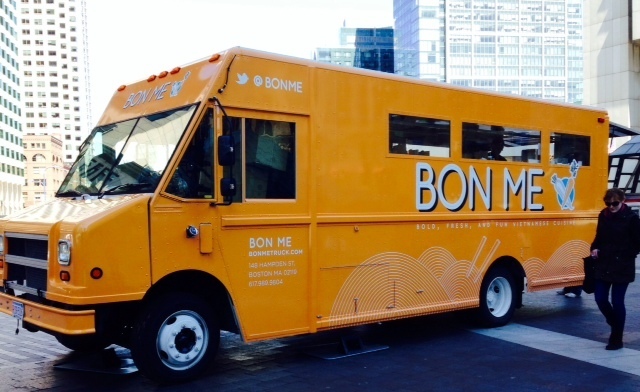 Bon Me is a food truck success story, but despite having multiple Boston area storefronts, these Vietnamese-inspired sandwiches are still trucked around the city. Besides the standard barbecue pork, there’s shiitake mushrooms and grilled chicken or tofu, each wrapped in a thick, crusty baguette and layered with pickled carrots, daikon radishes and spicy mayonnaise. There are also vegan brown rice bowls and sesame soba noodles, plus other eclectic treats. Another local favorite, Roxy’s maintains its food truck presence around town, in addition to its two storefronts; one in Allston and the other in Harvard Square. You’ll also see it at events and festivals. For all its down home style, Roxy’s grilled cheese sandwiches are gourmet treats filled with the likes of Muenster or brie, not old-school American cheese. The popular Chicken and Rice Guys cook more than just their namesake dish. The build your own plate style menu offers a base of either rice or salad, to which a choice of meats or tofu, toppings, and a sauce are added. These guys are busy with trucks that are literally all over the map and multiple store fronts, too. You’ll find them in the suburbs and in Cambridge and Boston during weekday lunch times. 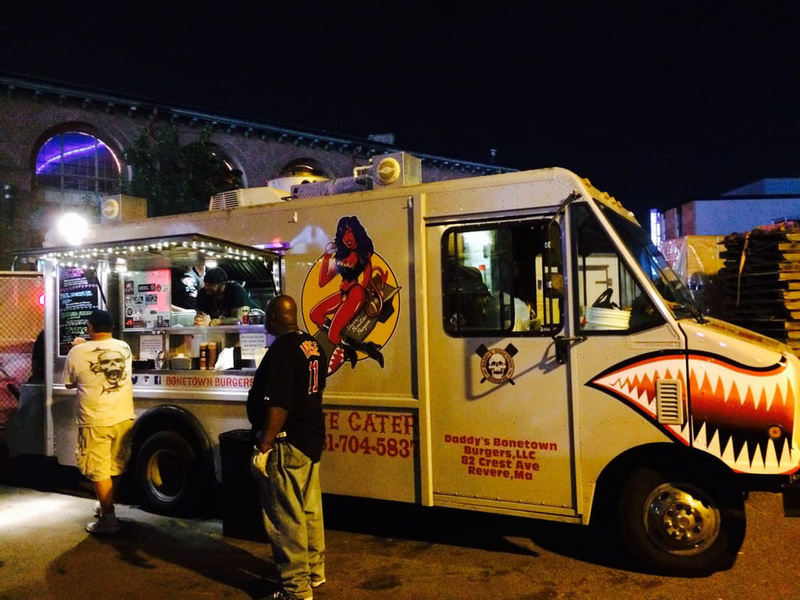 Daddy’s Bonetown Burgers is proving a popular mainstay for brewery events and hootenannies. The menu is all about burgers, done up with added bacon and cheese, and served with fries—order truffle fries for a posh touch. The Lemmy Burger, named for the late Motorhead frontman, includes smoked onion crisps and a bourbon BBQ sauce, honoring the musician’s favorite tipple. If it’s all a bit macho-seeming, amongst all this there is the less calorific, black bean and quinoa Simmons Burger. 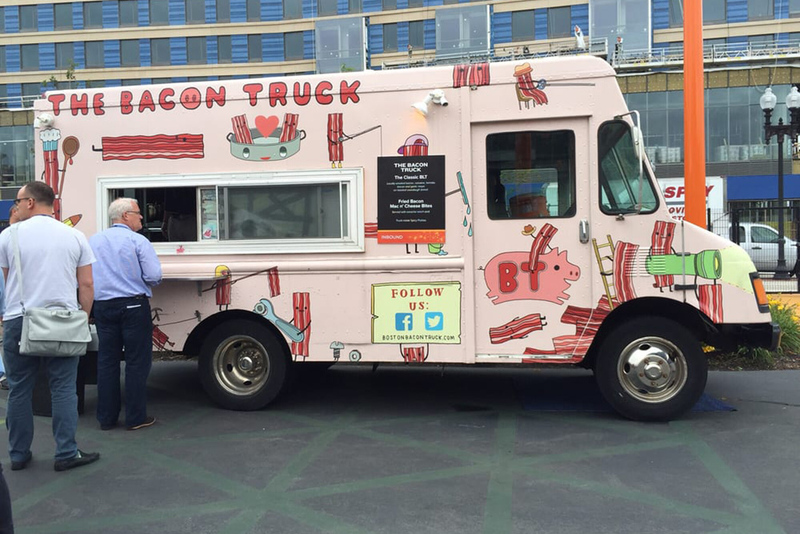 Bacon lovers chase this bacon-focused truck all over town, and with good reason. A classic BLT gets a kick from roasted garlic bacon mayo, while more creative options include the Hangover (bacon, bacon-scallion hash, cheddar and havarti, and fried egg), and the Pork and Mindy (bacon, braised pork shoulder, avocado, cheddar and havarti, smoky chipotle aioli). Special events bring out eye-catching specials such as deep-fried bacon-wrapped hot dogs. For a sweet finish, try some chocolate bacon truffles, candied bacon, or Nutella-covered bacon. 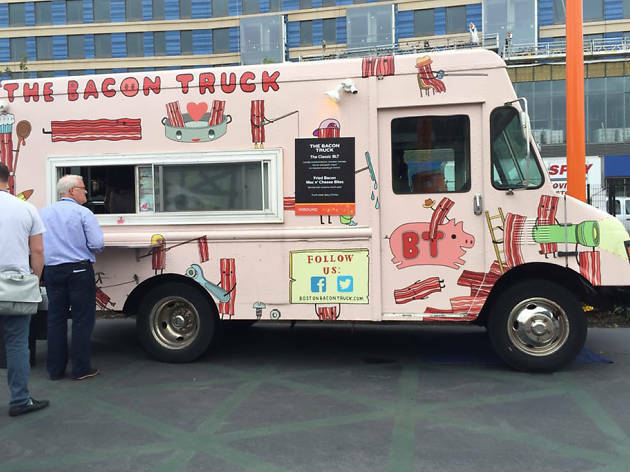 Perhaps most impressive, the truck uses thick-cut, applewood smoked bacon from the Blackstone St. Smokehouse in South Boston.